We traveled to two North Dakota tribal colleges in September and October - Cankdeska Cikana Community College (CCCC) on Sept. 17, 2017 and Nueta Hidatsa Sahnish College (NHSC) on Oct. 15, 2017 - to teach computing-related Sunday Academy lessons to Native high-school students. 26 Native American Indian high school students, including 19 Native students at CCCC and 7 Native students at NHSC, worked on hands-on embedded computing projects. Sunday Academy is an NSF-funded program designed to generate interest in math, science and engineering among the American Indian high school students. It aims to improve science, technology, engineering and mathematics (STEM) education among North Dakota tribal college and high school students and to build a pathway for the pursuit of careers in STEM disciplines. It builds on activities of a long-term collaboration between North Dakota tribal colleges, North Dakota State University and the University of North Dakota. IMPACT Lab organized two Expanding Your Horizons Workshops "Girls in Engineering", as a part of 38th Annual Expanding Your Horizons (EYH) Conference. EYH is a nationwide organization that holds regional conferences for young women in grades 7-9 to encourage and develop their career interests in STEM. 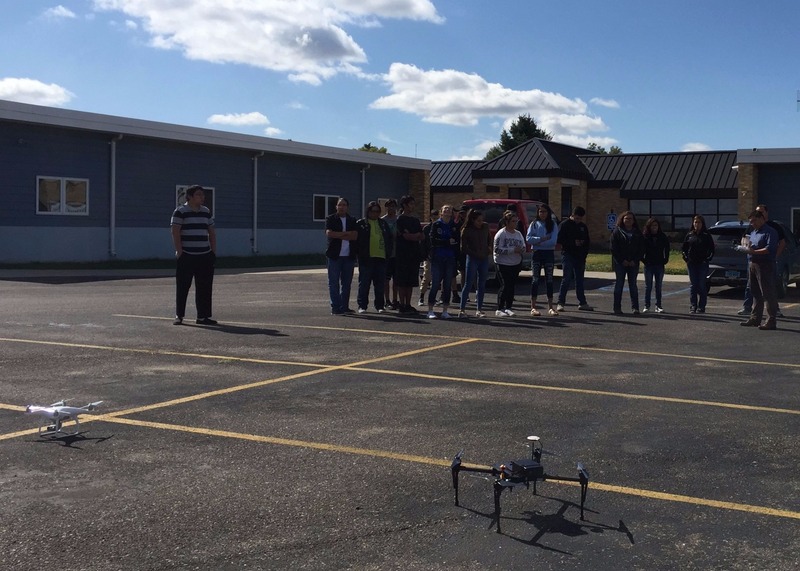 During the two workshops, we worked with 36 girls from different rural high schools in North Dakota and introduced various research projects to them, such as wireless sensor network, embedded vision, intelligent video storage system, and UAV. Note that, the last photo (lower right) was taken by UAV. 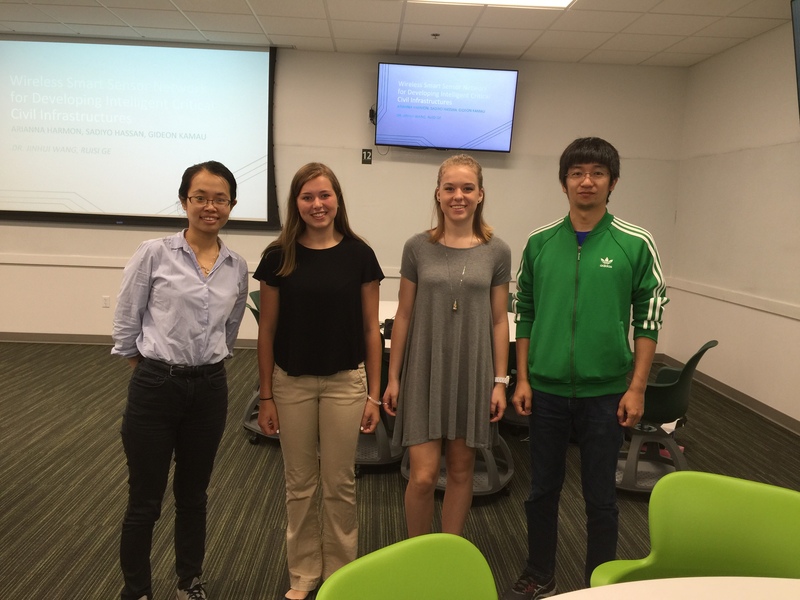 Dr. Gong has served as an engineer mentor to ND Governor’s School Initiative program and this summer we host two high school girls in our lab. Governor's Schools is a six-week residential program for scholastically motivated North Dakota high school sophomores and juniors to offer concentrated instruction from NDSU faculty. 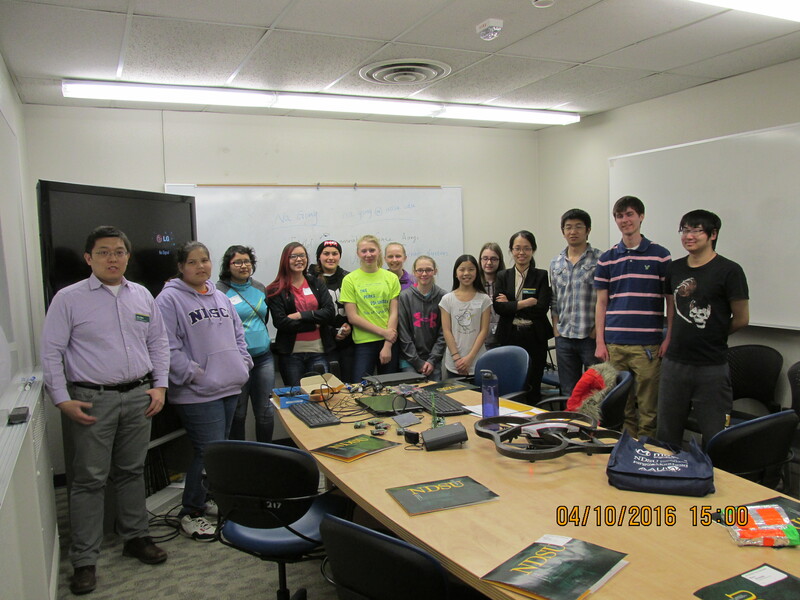 The girls worked on embedded system development for UAVs. 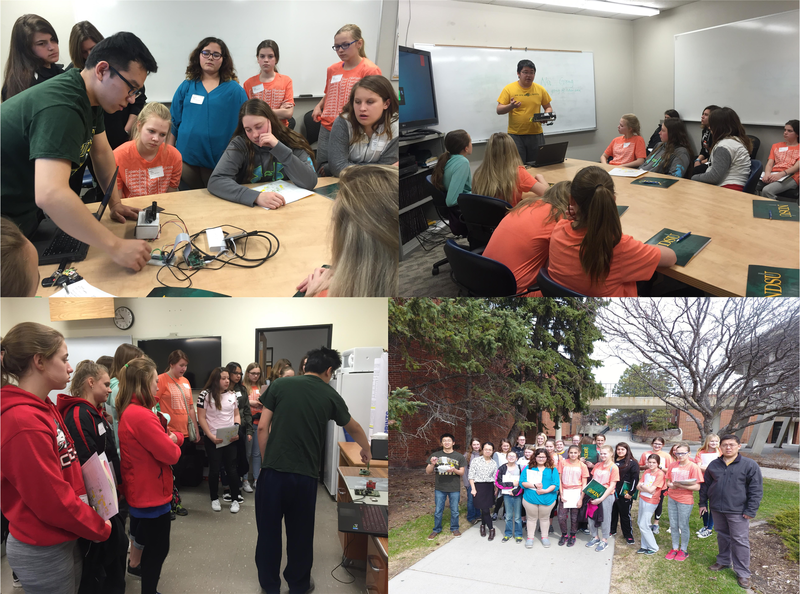 Multi-Level VLSI Lab organized the "Girls in Electrical and Computer Engineering" workshop for 7th-9th grade girls at the 37th Expanding Your Horizons Conference on April 9, 2016. 9 junior high school girls from different universities in ND and MN participated in the workshop. Girls were introduced to on-going research projects with several live demonstration of luminance-adaptive mobile video storage, embedded system (FPGA piano), unmanned aircraft system (UAS), and passive wireless sensor network. They were also introduced to research opportunities available to them in our lab. Multi-Level VLSI Lab organized the Women Undergraduates in Electrical and Computer Engineering (WIECE) Summer Research Program, which was an intensive eight-week research program for women undergraduates in Electrical and Computer Engineering (ECE). Our goal was to build distinctive experiences that can propel female undergraduate students to enter graduate school. 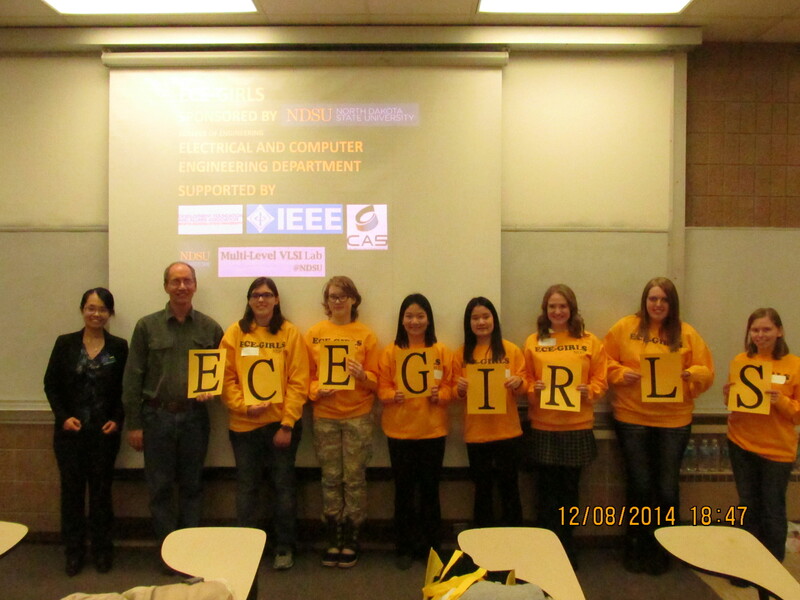 Two female undergraduate students in ECE were selected to participate in 2015 WIECE program. 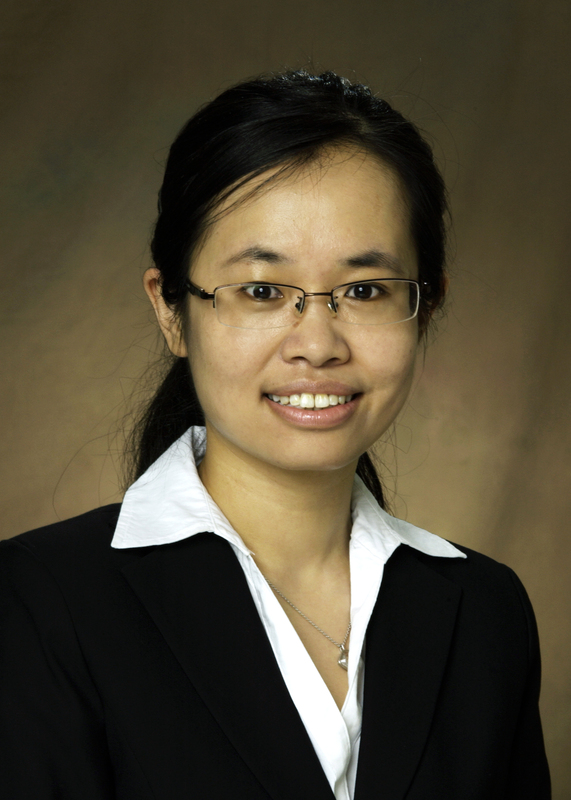 Combined with students’ interest and background, each WIECE student was associated with a specific research project and she performed research directly supervised by Dr. Gong. They successfully developed and submitted a memory chip to MOSIS for fabrication. Multi-Level VLSI Lab organized ECE-GIRLS (Girls Explore Electrical and Computer Engineering) outreach program, which was a three-day program to introduce high school female students to the attractive fields of Electrical and Computer Engineering (ECE). The goal of this program was to instill an interest in ECE and to increase the number of high school graduates majoring in this field. 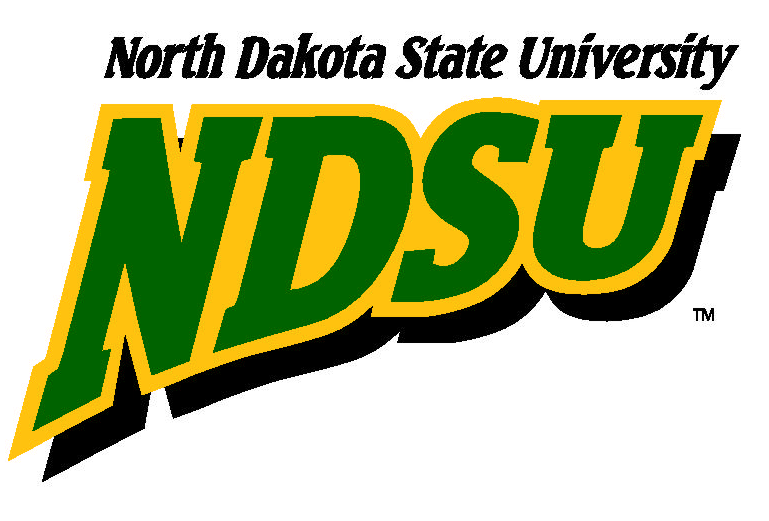 It was held on December 8th, 10th, and 12th, 2014 on North Dakota State University main campus. Seven female high school students were selected from high schools in the Fargo-Moorhead area to participate in ECE-GIRLS. During ECE-GIRLS, a variety of activities were incorporated, exposing girls to ECE hands-on experiences and role models. The three-day program activities are detailed as follows. Student surveys were conducted at the end of the program. The participants rated the ECE-GIRLS favorably. All of them agree that ECE-GIRLS helped them have an understanding of ECE topics and they would encourage other girls to participate in ECE-GIRLS in the future.